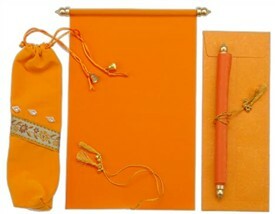 Description: This design gives a rare distinction to class itself. 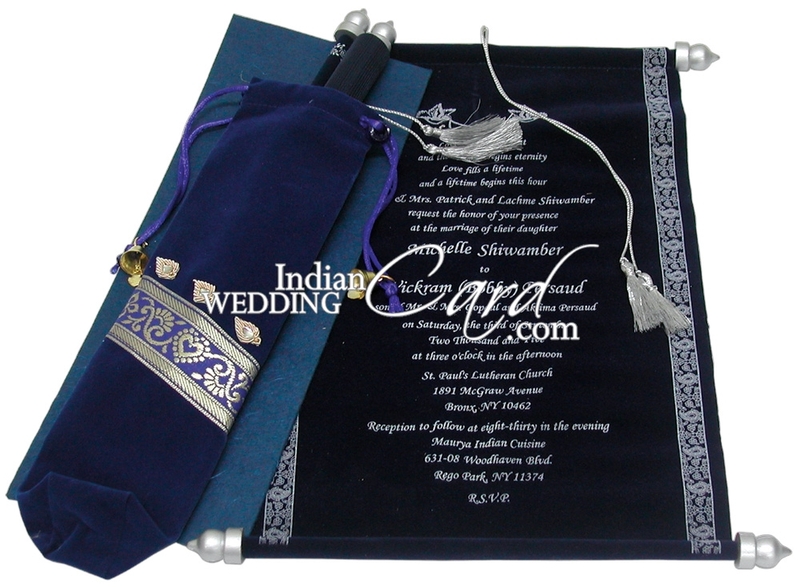 Stitched around shining silver bars and tied by a silk tassel, the card is customizable in terms of border, text and design. 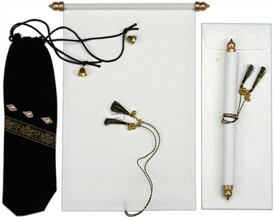 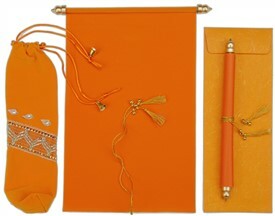 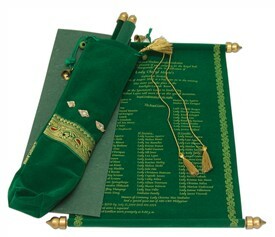 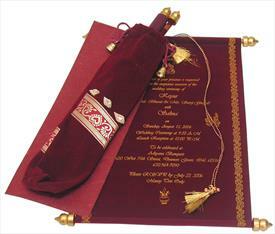 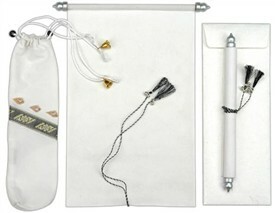 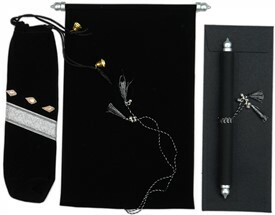 The card is contained in an velvet pouch having zari lace and handwork with an envelop for postage. 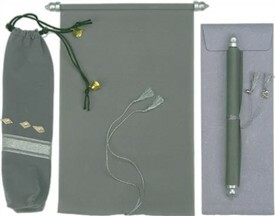 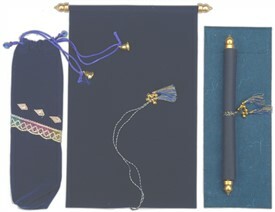 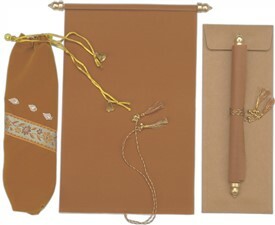 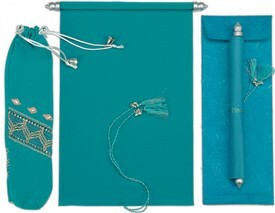 Paper: Pouch and scroll with matching tassel in bluish purple 0velvet cloth; Mailing envelope in silk handmade paper; Plastic bars with Golden ends.